It’s why I’m the perfect person to drink with—because that’s what punters do best. When it comes to choosing a location for Friday and Saturday night silliness, the question will always be raised: Pub or club? I most definitely favor the former and when it comes to Melbourne pubs, I’m more well-researched than I’d care to admit. It all starts on a Friday after work, when Melbournians spill onto the city pavements with a burning desire to numb the ache that filled their heads during the course of the work week. 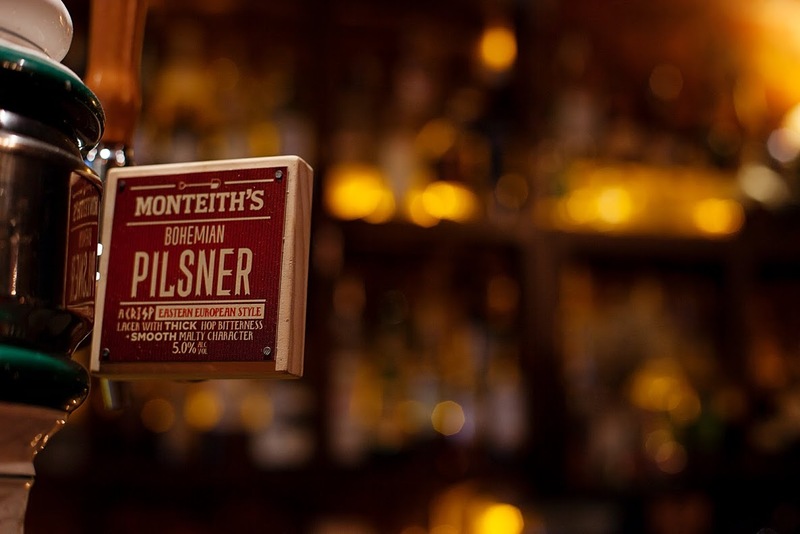 After a couple of rounds at the nearest possible pub, I herd my friends onto a tram and head straight for the neighbouring suburbs of Fitzroy and Collingwood, where we can get some pub grub and more beers (of course). Our first stop is The Napier Hotel, tucked among the houses and high­rises between Brunswick and Smith Streets. Here, old school meets urban, and the vibe is quaint but not kitsch, with a range of beverages sure to please the beer snob in your group. The menu is a little more upscale, but if you want to get down and dirty, order the Bogan Burger—a 1,670­-calorie behemoth with layers of steak, chicken schnitzel, potato cake, bacon, egg, cheese, onion, pineapple and beetroot stuffed between two slabs of Turkish bread. Next, meander the backstreets toward the Union Club Hotel on Gore Street. I felt immediately at home when I first walked into this joint. Expect to find vintage lampshades, a well-­weathered billiards table, a crackling fireplace in winter and a cracking beer garden in summer. 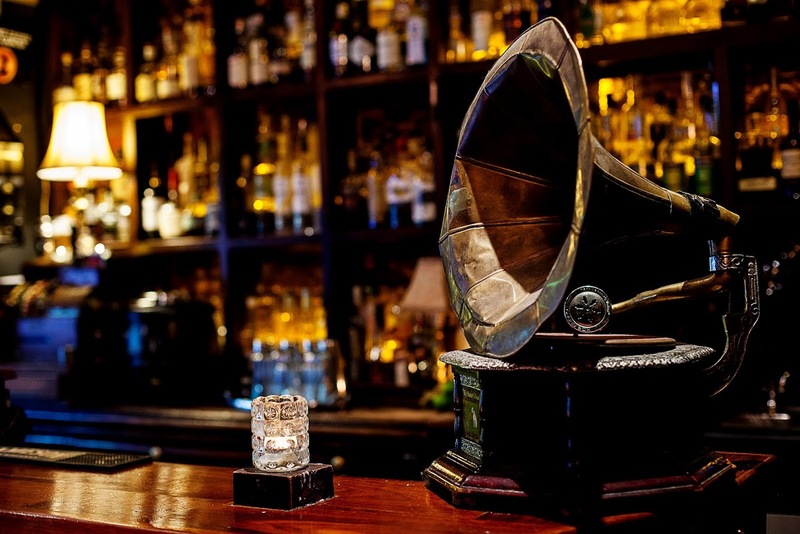 As the night gets rowdier, cruise to The Grace Darling Hotel on Smith Street. There’s a small room upstairs where you’ll find obscure indie bands playing live music. Downstairs, dine like a hipster on locally-sourced, sustainable dishes. Grace Darling Hotel is not so much a hotel as it is a drinking hole. It's actually the city's second-oldest pub. After an hour of music, we head to Caz Reitop's Dirty Secrets to guzzle espresso martinis. Admittedly, Caz Reitop's Dirty Secrets is a 1920s­-themed cocktail bar (not a pub), but it’s kind of late and I like this place. Cut me some slack. After 1 or 2 a.m., the only real option in the vicinity is Yah Yah's across the road. You’ll have to put up with a sticky floor and a bit of a hipster meat market vibe, but it offers live rock music and it’s open until 5 a.m. Or so I’ve heard. Carlton Club Hotel—adorned with wonderfully kitschy taxidermy. It has an awesome rooftop terrace in the heart of Melbourne, and is very busy on Friday and Saturday nights. Elms Family Hotel—a bit of a left­-field selection. This joint is a country pub in the middle of the city. Go here for a friendly vibe, real characters, cheap beer and old­-fashioned pub grub. For the last 15 years, the Union Club Hotel has presented live music and rooftop drinking to pub crawling Melbournians. Speak-oh-so-easy at the 1920s-inspired Caz Reitop's Dirty Secrets. The Town Hall Hotel—cozy, nice and divey. Go here for honest pub grub; it’s Melbourne to the core. The Standard Hotel—tucked away in the maze of one­-way streets. It's worth finding for the jam­packed beer garden. Labour in Vain—intimate, live gigs take place in the front bar. There’s a small rooftop terrace, which is a good spot for enjoying a beer ... or five. The Brunswick Green—Very fine beer garden out back. Get to know the assortment of characters this hipster­magnet attracts in the cozy nooks, crannies and couches inside. The Retreat—massive beer garden, solid gigs and open late. It can get silly on the dance floor later in the evening. Northcote Social Club—live music beacon with consistently good pub grub. Wesley Anne—formerly a church, now a purveyor of fine beverages. Expect to find quaint, live music, delicious dishes and an intimate beer garden. 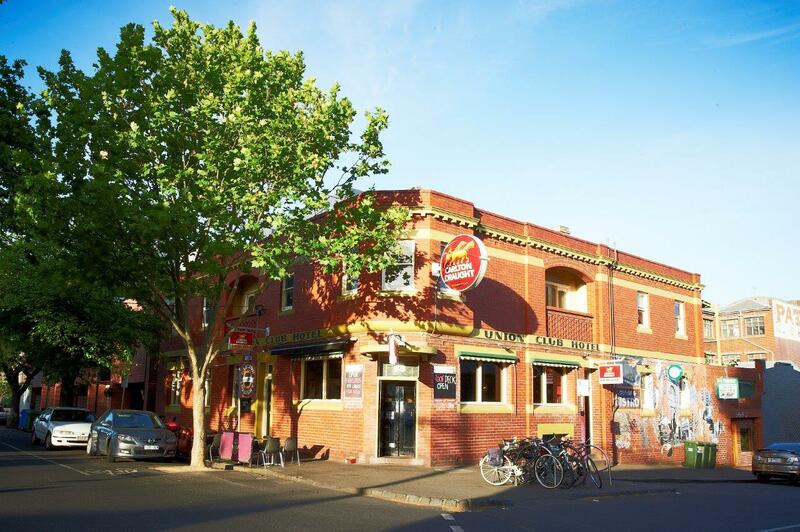 The Corner Hotel—Long­standing music venue with a rooftop beer garden. The Great Britain Hotel—nice and divey, with loads of character. The Esplanade Hotel (The Espy)—a huge pub and a massively Melbourne icon. Go here for nonstop live music. The Windsor Castle Hotel—killer beer garden and a nice dining room. This cozy pub is loved by all south­siders with half a clue. Gary Newman is a freelance journalist, writer and barfly. Of a summer’s saturday afternoon, he may be found imitating a cricketer on the mottled grass of Melbourne’s sporting fields. Busy hotel for gastropub eats, with an ample, leafy courtyard, plus pink elephants on the roof. Flashy cocktail bar with a psychedelic colour scheme and quirky animal decor, plus a gastropub menu. Charming wood-panelled hangout with a leafy beer garden, for pub meals plus craft and imported ales.